What is Olaplex? Olaplex is free of silicone, sulfates, phthalates, DEA, aldehydes, gluten and is never tested on animals. 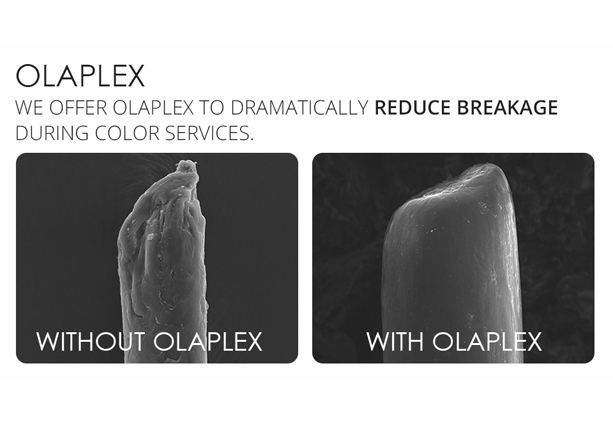 Olaplex reconnects broken disulfide sulfur bonds in the hair. Hair bonds are broken during thermal, mechanical and chemical services." What does Olaplex do for your hair?Say goodbye to damaged hair! 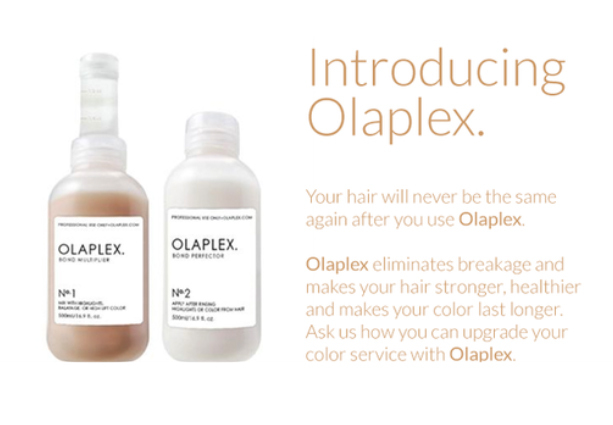 Olaplex is going to make your hair stronger, healthier, and your color will last longer! Ask one of our educated stylists here at VODKA salon about OLAPLEX & add it on to your colour service to help sustain the structure of your hair & leave your hair feeling soft & manageable!